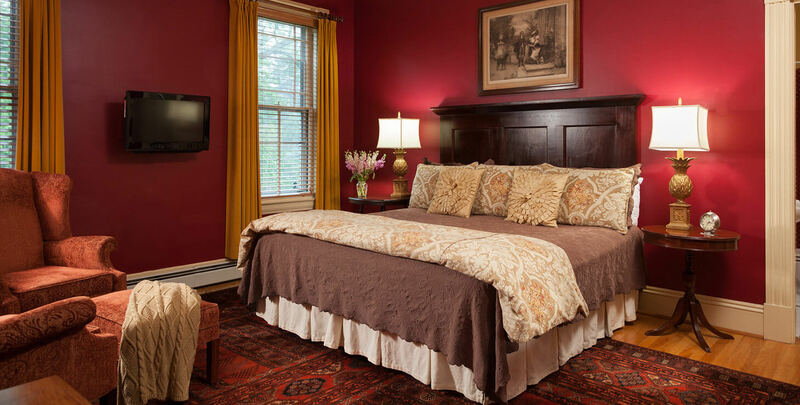 Large King bedroom named in honor of Ira Allen, the property’s original landowner. The color of the walls is contrasted by gold, velvet curtains, setting the stage for a perfect romantic getaway. Harry Potter fans (aka Potterheads) may appreciate that our university staffers sometimes refer to this bedroom as the Gryffindor room because of the striking red and gold color scheme.